Zigzagoon in game: 5,706 Who? Important notice! Pokemon Zigzagoon is a fictional character of humans. 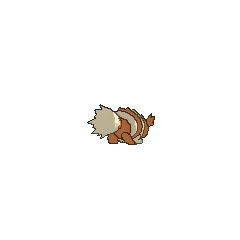 Zigzagoon (Japanese: ジグザグマ Jiguzaguma) is a Normal-type Pokémon introduced in Generation III. It evolves into Linoone starting at level 20. 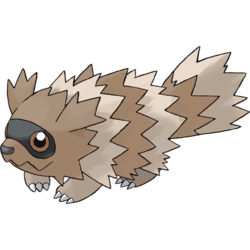 Zigzagoon is a raccoon-like, quadruped Pokémon with bristly, zigzag-patterned fur. It has stripes formed by alternating layers of cream and brown fur. It has a brown head with spiky ears and a black nose. A black, mask pattern surrounds its brown eyes. The upper half of its mouth is jagged, and when it is open, there are two pointed teeth in its lower jaw. Its feet have three claws and pink paw pads. Its forefeet are cream-colored, but the hind feet are brown. Its brush tail is spiky and bristly. 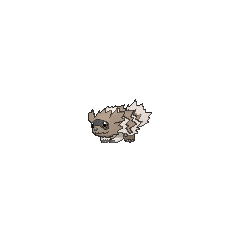 Zigzagoon is abundantly curious, as it wanders restlessly back and forth while rubbing its nose to the ground in search of something. It rubs its bristly back hair against trees to mark its territory, and plays dead to fool opponents in battle. Zigzagoon is found commonly in grassy fields. Nicholai caught a Zigzagoon in In the Knicker of Time. It also appeared in Zig Zag Zangoose!. One of the Gym Badge Thieves from The Blue Badge of Courage had a Zigzagoon. A Zigzagoon appeared in Candid Camerupt! where it battled against Brock's Mudkip. A Zigzagoon appeared in a flashback in A Trip Down Memory Train!. Zigzagoon first appeared in Johto Photo Finish. A Zigzagoon appeared in A Tail with a Twist. A Zigzagoon appeared in You Said a Mouthful! A Zigzagoon appeared in A Bite to Remember. A Zigzagoon appeared in A Meditite Fight!. A Coordinator's Zigzagoon appeared in Now That's Flower Power!. A Trainer's Zigzagoon appeared in Off the Unbeaten Path participating in the Pokémon Orienteering. Multiple Zigzagoon appeared in Destiny Deoxys. A Zigzagoon appeared under the ownership of a Coordinator in Hi Ho Silver Wind! A Zigzagoon also appeared in One Big Happiny Family! in Jessie's fantasy. Zigzagoon appeared in Zoroark: Master of Illusions as one of the many Pokémon residents of Crown City. Two Zigzagoon worked with several other Pokémon in surrounding Zorua in the park to attack him, angry at Zorua for what Zoroark did to the city. Before a fight broke out, the Zigzagoon, along with the other Pokémon, were calmed by Celebi. 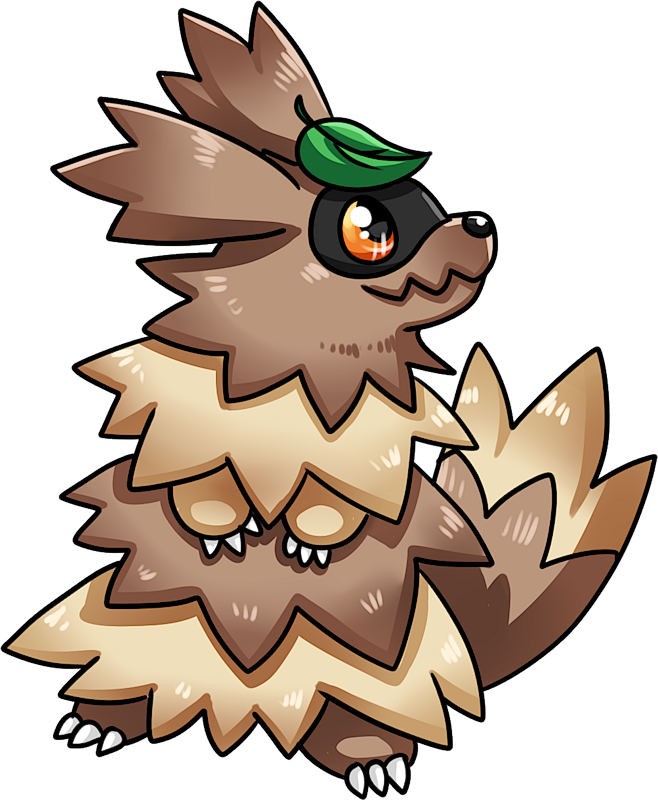 A Zigzagoon appeared in Kalos, Where Dreams and Adventures Begin!. A Zigzagoon appeared in Lumiose City Pursuit!, Mega-Mega Meowth Madness!, Day Three Blockbusters!, Battling With a Clean Slate! and even in a flashback in Mega Evolution Special I and Garchomp's Mega Bond! at Professor Sycamore's lab. 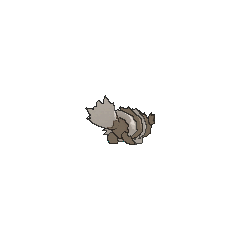 A Zigzagoon appeared in A Battle of Aerial Mobility!. A Zigzagoon appeared in Awakening the Sleeping Giant. A Zigzagoon appeared in a flashback/fantasy in The Forest Champion!. A Zigzagoon appeared in Diancie and the Cocoon of Destruction. A Zigzagoon appeared in Pikachu and the Pokémon Music Squad. A Zigzagoon appeared in A Giga Battle with Mega Results!. A Zigzagoon appeared in A Watershed Moment! in a flashback. A Trainer's Zigzagoon appeared in Unlocking Some Respect!. A Zigzagoon appeared in Seeing the Forest for the Trees!. Two Zigzagoon will appear in Volcanion and the Mechanical Marvel. AG005 Zigzagoon Ash's Pokédex Zigzagoon, the TinyRaccoon Pokémon. Zigzagoon is extremely curious and so ends up walking in a zigzag path between things that interest it. Zigzagoon made a cameo appearance at the end of The Last Battle XIV, where one was being examined by Professor Elm. Sapphire encountered a young Trainer and her sick Zigzagoon in I Dare Ya, Altaria... Knock Chic off My Shoulder. Her way of healing the Zigzagoon caught Winona's attention. 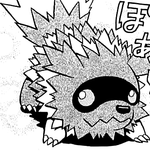 In the Pokémon Ruby-Sapphire manga, a Zigzagoon appears in the chapter Let's Go Catch The Dumpling Thief!!. Red's Clefairy is accused of stealing dumplings from a shrine, but it turns out that they were being eaten by a mischievous Zigzagoon. Pokémon Pinball: Ruby & Sapphire: Zigzagoon sits to the left of the Sapphire Field and will change its position when the ball hits the button in front of it. When Zigzagoon is positioned to pounce, it will immediately stop the slot machine when the A button is pressed, allowing for the prize to be chosen by the player. Pokémon Emerald: At the beginning of the game, a wild Zigzagoon attacks Professor Birch. The player must use his/her starter Pokémon to defeat it. It walks in zigzag fashion. It's good at finding items in the grass and even in the ground. A Pokémon with abundant curiosity. It shows an interest in everything, so it always zigzags. Moves marked with a superscript game abbreviation can only be bred onto Zigzagoon in that game. 51%-100% HP I wonder what's in store here? This is so exciting! 26%-50% HP Listen, half my HP's gone. Level up I leveled up! Ooh, this is so exciting! Zigzagoon always zigzags when it moves. It's fun to just watch it. 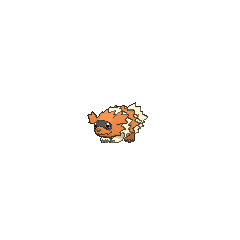 For other sprites and images, please see Zigzagoon images on the Bulbagarden Archives. Zigzagoon is one of the two Pokémon left out of the Hoenn Pokérap; the other is Relicanth. A Shiny Zigzagoon was given to games from an interactive demo to fix the Berry Glitch. Due to this being available for over three years in North America, Zigzagoon has the honor of having the longest event. Zigzagoon has the same Hoenn Pokédex and Central Kalos Pokédex numbers. A Zigzagoon can be seen in the Omega Ruby and Alpha Sapphire Introduction Animation. 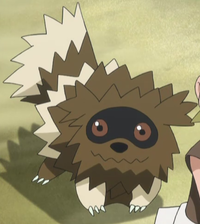 Zigzagoon is based on the tanuki (Nyctereutes procyonoides viverrinus). Japanese folklore and legend claims that tanuki are tricksters, masters of disguise and capable of shapeshifting, though also absent-minded and gullible. Tanukis are also known for their belly drumming. It also has similarities to ordinary raccoons. 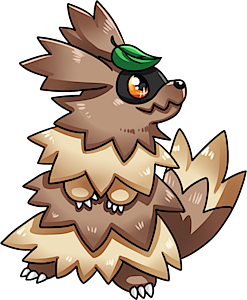 Zigzagoon may be a combination of zigzag (referring to its fur pattern and unusual habits) and raccoon or raccoon dog. Jiguzaguma may be a combination of zigzag and アライグマ araiguma (raccoon) or 穴熊 anaguma (badger). Guma (熊 kuma) as a suffix is often used for mammals that resemble bears.